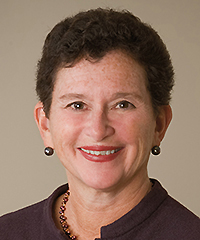 Nancy Cantor, chancellor of Rutgers University-Newark, is a distinguished higher education leader who is helping to forge a new understanding of the role of universities in society. Prior to joining Rutgers University-Newark, Cantor served as chancellor of Syracuse University from 2004-2013. At Syracuse University, she spearheaded pursuit of its vision, Scholarship in Action, a view of the university not as a traditional "ivory tower," but as a public good, an anchor institution that collaborates with partners from all sectors of the economy to more effectively serve the needs of society. 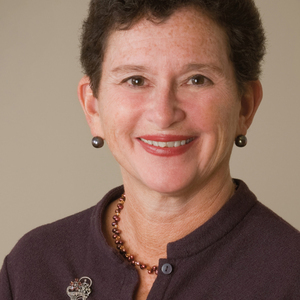 Prior to her appointment at Syracuse, Chancellor Cantor served as chancellor of the University of Illinois at Urbana-Champaign; provost and executive vice president for academic affairs at the University of Michigan, prior to which she had been dean of its Horace H. Rackham School of Graduate Studies and vice provost for academic affairs; she also was professor of psychology and senior research scientist at the Institute for Social Research at Michigan. Previously, she had been chair of the department of psychology at Princeton University. Dr. Cantor is recognized for her scholarly contributions to the understanding of how individuals perceive and think about their social worlds, pursue personal goals, and how they regulate their behavior to adapt to life's most challenging social environments. She is co-author or co-editor of three books and author or co-author of some 90 book chapters and journal articles. She has been an advocate for racial justice and for diversity in higher education, and she has written and lectured widely on these subjects. At the University of Michigan she was closely involved in the university's defense of affirmative action in the cases Grutter and Gratz, decided by the Supreme Court in 2003. Dr. Cantor has also lectured and written extensively on liberal education and the creative campus. Dr. Cantor is a Fellow of the American Academy of Arts and Sciences and is a member of the Institute of Medicine of the National Academy of Sciences. She has also received the Distinguished Scientific Award for an Early Career Contribution to Psychology from the American Psychological Association, and the Woman of Achievement Award from the Anti-Defamation League. Cantor, N. (Ed.). (1981). 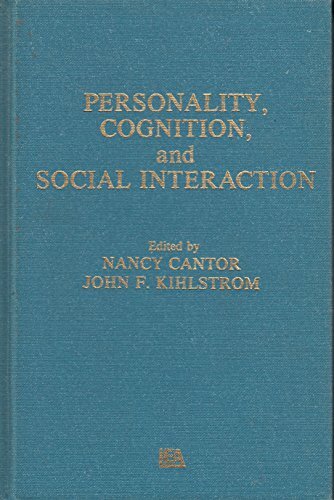 Personality, cognition, and social interaction. New York: Erlbaum. Cantor, N., & Buss, D. M. (1989). 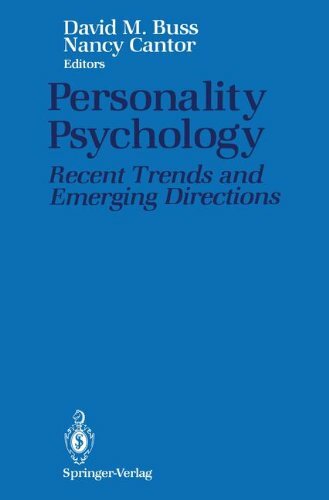 Personality psychology: Recent trends and emerging directions. New York: Springer. Cantor, N., & Kihlstrom, J. F. (1987). 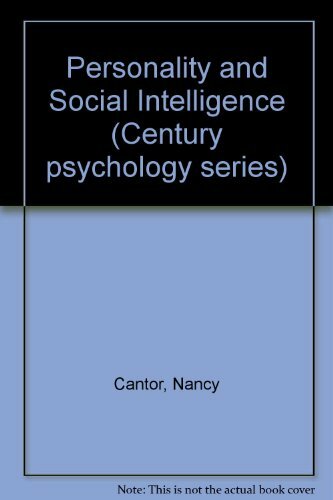 Personality and social intelligence. New York: Prentice Hall. Cantor, N. (2004). Scientific workforce. Issues in Science and Technology, 21(1), 12-12. Cantor, N. (1994). Life task problem-solving: Situational affordances and personal needs. Personality and Social Psychology Bulletin, 20(3), 235-243. Cantor, N. (1990). From thought to behavior: Having and doing in the study of personality and cognition. American Psychologist, 45(6), 735-750. Cantor, N., Acker, M., & Cookflannagan, C. (1992). Conflict and preoccupation in the intimacy life task. Journal of Personality and Social Psychology, 63(4), 644-655. Fleeson, W., & Cantor, N. (1995). Goal relevance and the effective experience of daily-life: Ruling out situational explanations. Motivation and Emotion, 19(1), 25-57. Harlow, R. E., & Cantor, N. (1996). Still participating after all these years: A study of life task participation in later life. Journal of Personality and Social Psychology, 71(6), 1235-1249. Harlow, R. E., & Cantor, N. (1995). To whom do people turn when things go poorly: Task orientational and functional social contacts. Journal of Personality and Social Psychology, 69(2), 329-340. Harlow, R. E., & Cantor, N. (1994). Social pursuits of academics: Side-effects and spillover of strategic reassurance seeking. Journal of Personality and Social Psychology, 66(2), 386-397. Sanderson, C. A., & Cantor, N. (2001). The association of intimacy goals and marital satisfaction: A test of four mediational hypotheses. Personality and Social Psychology Bulletin, 27(12), 1567-1577. Sanderson, C. A., & Cantor, N. (1997). Creating satisfaction in steady dating relationships: The role of personal goals and situational affordances. Journal of Personality and Social Psychology, 73(6), 1424-1433. Sanderson, C. A., & Cantor, N. (1994). Social dating goals in late adolescence: Implications for safer sexual-activity. Journal of Personality and Social Psychology, 68(6), 1121-1134. Zirkel, S., & Cantor, N. (2004). 50 years after Brown v. Board of Education: The promise and challenge of multicultural education. Journal of Social Issues, 60(1), 1-15.